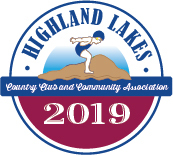 Highland Lakes Country Club and Community Association started in 1933 as a dream shared by two men, John Seckler and Clayton Shepperd, as they looked out over acres of rural farmland in the northernmost county of Sussex, NJ, and talked about the rustic, summer retreat they were going to create. Today, that dream they shared long ago has become a beautiful reality for roughly 2,000 families who now belong to this private community. Though 80 percent of our membership is comprised of year-round residents, that was not the case in 1936 when the community was officially founded. Sussex County itself was sparsely populated farmland and Highland Lakes, a summer-getaway for city-dwellers who wanted to enjoy the great outdoors. Most homes did not have their own well—instead, their water was piped in from a community well during warmer months. The vast majority of our members arrived as soon as school let out in June and the place bustled with activity from July 4th through Labor Day when cabins were reluctantly “closed for the winter,” leaving only a few hearty families behind to enjoy the tranquil wonderland. As years passed and highways improved (making commuting to work a viable option), our community saw a gradual shift towards year-round living. Members winterized their cabins, drilled private wells, improved their septic systems, and “dug-out” their basements, bucket-by-bucket. In 1946, the “Little League” softball program was formed, followed soon after by an organized swimming program with Sunday swim races in 1950. A long tradition of boating and sailing activities dates back to the late 1940s, initially with the Comet fleet and later with the Sunfish sailing fleet. Today there continues to be a busy activities, events, sports and club programs offered to all who wish to join in the fun. Club-organized activities have flourished through the years, transformed again and again depending upon the volunteers who have coordinated them each new season. 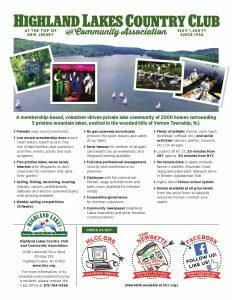 Some say it is the natural beauty and rural character that makes Highland Lakes so special. Others insist that it is the passion and dedication of volunteers that gives the community its undeniable character harkening back to days of yore. All will agree that it is some combination of the two that makes Highland Lakes such a perfect place to call home. 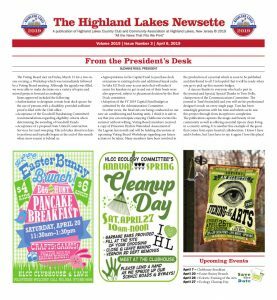 Read more about the history of Highland Lakes.